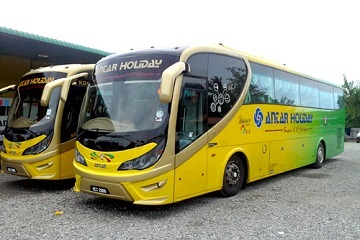 Antar Holiday is one of the popular bus operator that provide express bus services from Kedah to various locations within Peninsular of Malaysia. Antar Holiday is famous in the northern region of Peninsular Malaysia and it is based in Alor Star, Kedah. Antar Holiday specializes in routes depart from Kedah to Terminal Bersepadu Selatan Kuala Lumpur, Johor Larkin Terminal, Terminal Bersepadu Selatan, Golden Mile Complex Singapore and Mushroom Farm Bus terminal Genting Highlands. 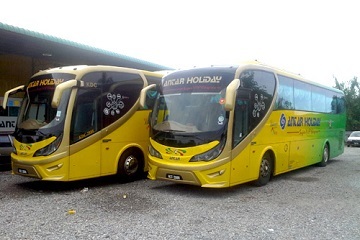 Besides, Antar Holiday also provides buses that depart from Mushroom Farm Bus Terminal Genting Highlands to Alor Setar Kedah and Sungai Petani Kedah. Antar Holiday offers over 30 routes every day across Malaysia and Singapore. 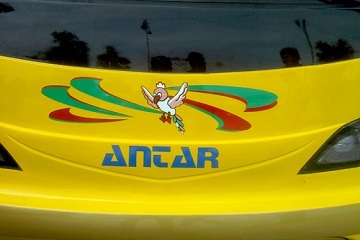 Antar Holiday takes pride in the quality of their bus and customer service. 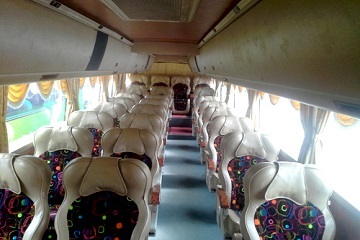 The buses offer by Antar Holiday are in single deck with 28 seats. The seating arrangement is 1 + 2 to maximize moving space in the bus. 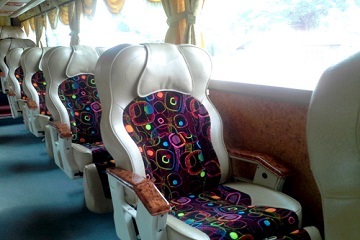 Besides, sufficient leg room and comfort seats are available for passenger throughout the journey. In addition, all of their buses are equipped with air-conditioning and Antar Holiday offers warm and friendly service to all of their passenger. If you are traveling from the northern region of Malaysia, remember to check out Antar Holiday bus tickets online at easybook.com. Lot 2888, Jalan Kuala Kedah, 05400 Alor Setar, Kedah Darul Aman.